Smart Dubai, in partnership with the Rochester Institute of Technology (RIT), has developed a ground-breaking Master of Science in Data Analytics. 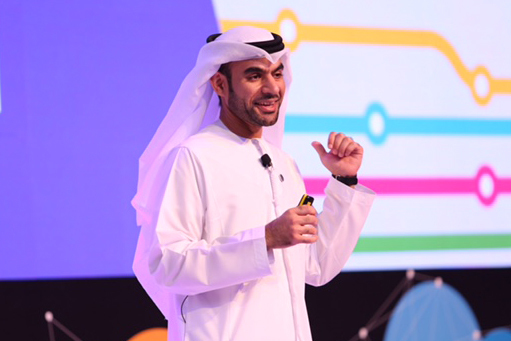 The programme, which has secured official accreditation from the UAE Ministry of Education, tackles the increasingly influential field of data, which has become the cornerstone of advanced services and smart city transformations around the world. The first of its kind in the region, the programme is now open for registration until September 30, 2018, with the official launch set for the first week of October 2018. The 11-month Master’s Degree in Data Analytics comprising of 33 semester credit hours was developed following an agreement signed between Smart Dubai and the Rochester Institute of Technology in Dubai (RIT Dubai) in July 2017. Under the agreement, the former developed the main objectives of the initiative and led the charge in securing scientific accreditation for the programme. The programme will ultimately drive further progress in innovation and research by preparing generations of young and highly qualified data analysts and scientists. The programme was designed to cover the advanced aspects of data collection and analysis, and highlight their applications in smart decision-making. The Master of Science in Data Analytics programme aims to prepare the next class of data analysts to contribute to transforming and improving city experiences from understanding, managing and analysing big data, visualising the analysed data and generating beneficial insights for all city stakeholders, as well as demonstrating the relationship between data analytics and emerging technologies. “This joint Data Analytics programme, developed with Smart Dubai in accordance with international best practice, allows us to offer a sophisticated, hands-on academic curriculum for students and professionals interested in advancing their education in this vital sector,” said Dr Yousef Al Assaf, President of RIT Dubai. Smart Dubai is the government entity tasked with implementing Dubai’s Smart Transformation Agenda, a strategy that seeks to transform Dubai into the happiest and smartest city in the world. Smart Dubai has gradually rolled out an extensive portfolio of initiatives and smart services rooted in data, including the Dubai Pulse – the digital backbone of the city – which compiles all available data from both the public and private sectors. The Rochester Institute of Technology has been one of the world’s leading institutions in the field of technical education since 1829 and is the 11th largest private university in the United States of America.